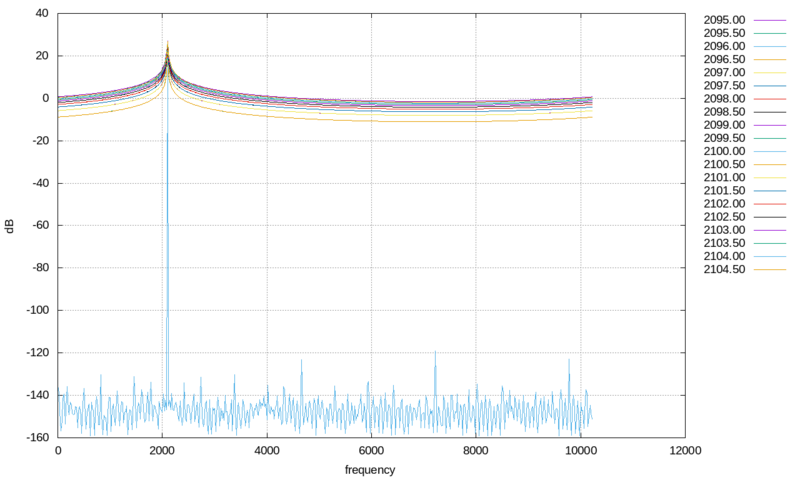 The Fourier Transform is pretty fundamental to digital signal processing (DSP). Some would go so far as to say it is the center of DSP, although I consider that a stretch. What was unclear to me was how it does what it does, and how I might somehow plumb its depths in a way that could transfer a deeper understanding of what was going on into my working model of software radios. That should be a sample FFT plot. The magnitude is plotted in decibels dB.